The best of crowdfunding. GoFundMe helped a young boy from Arkansas meet Rowdy. 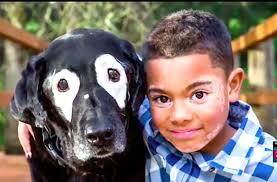 Rowdy and the boy have the same skin condition, vitiligo, which causes their skin to lose pigment and appear as white patches.